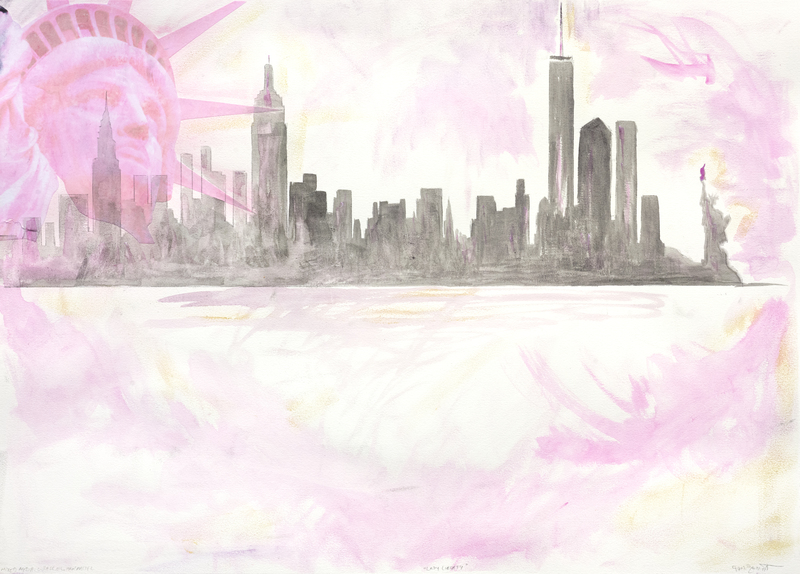 "Lady Liberty," Mixed Media: Collage, Oil, Pan Pastel on Paper, 30" x 20"
for a touch of the Big Apple in their new home up in New England. Feel free to ask about commissions, exhibitions, original artwork, prints and jewels. Your desire will be a beautiful addition to my day.